Easily add and display stunning testimonials customized to the look and feel of your website. Use our capture buttons and links to collect new testimonials via your website, Email, SMS . 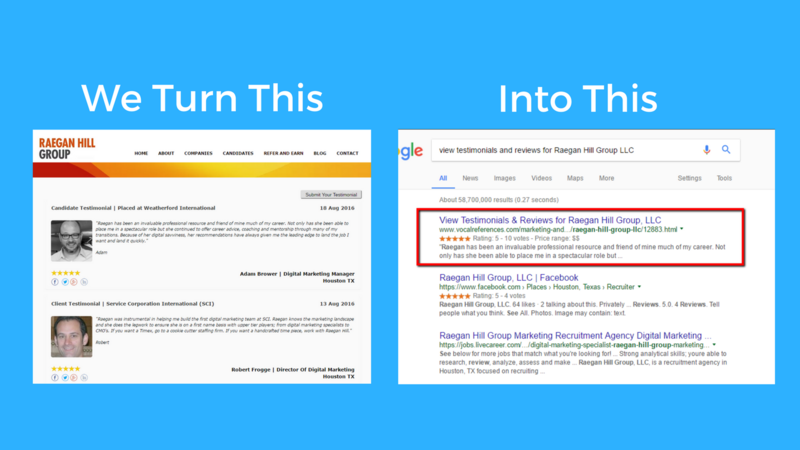 . .
We turn your testimonials into a marketing tool (SEO) by indexing them in Google! Choose a beautiful layout and wow visitors with great looking text and video testimonials and reviews. 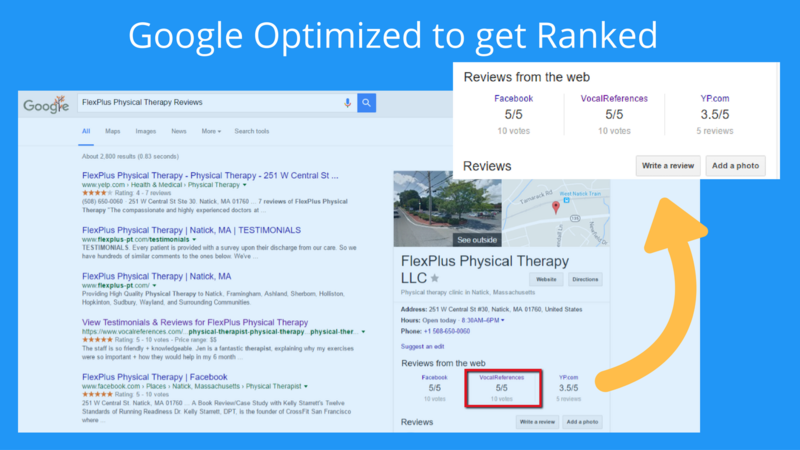 Plus, we index your testimonials in Google to drive more visitors to your website. Zendesk survey: 90 percent of people are influenced by positive online reviews. WebDAM report: Customer testimonials have the highest effectiveness rating for all types of content marketing. 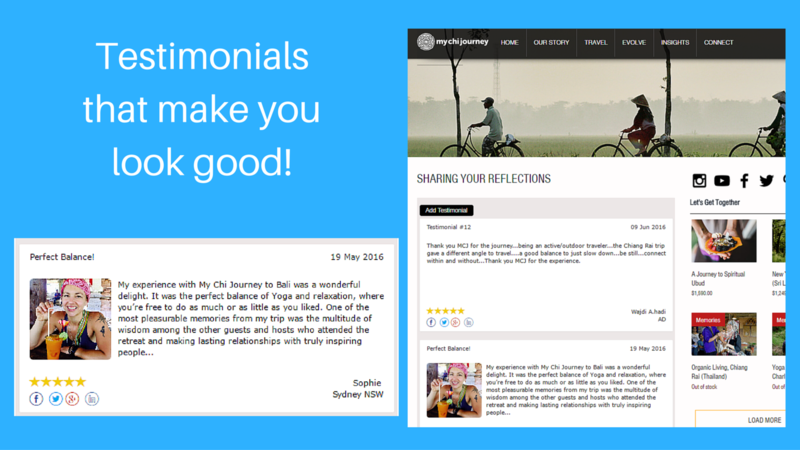 Layout testimonials to match the look & feel of your website. Get more testimonials via SMS, email, Whatsapp... with your collection link (URL). The app doesn't appear to have a means for capturing the reviewer's name or other information. One person gave me a 5-star rating without any information. Of course we capture: Name, City, State/Province, Date, STARS! A good example - https://www.vocalreferences.com/testimonials-video-testimonials/vocalreferences/473.html. Feel free to contact us at support@vocalreferences.com. We're here to help you! So many features and bumps up my Google rankings. Dignity Credit Solutions is a happy user. Would have a higher rating but the cost is more than I am willing to pay for in order to get the service and the free account only allows for one review! The free plan enables you to display 2 testimonials (for life!). Feel free to contact us at support@vocalreferences.com if you're having an issue, we'll be happy to assist you. 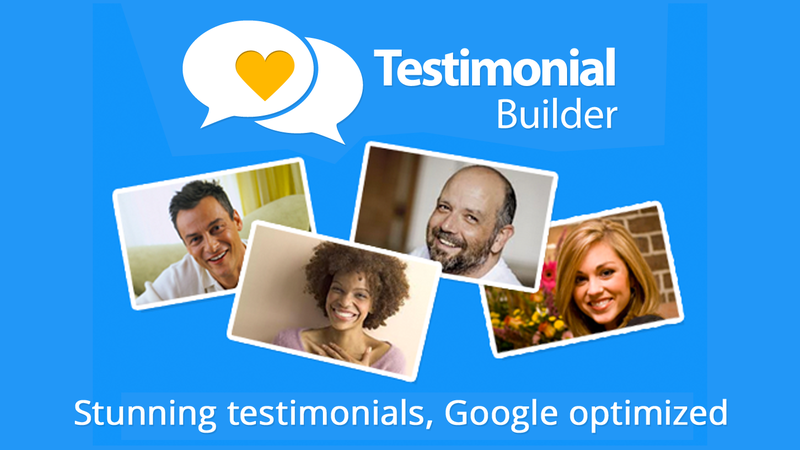 The premium plan allows you to display unlimited testimonials plus enjoy all premium features - the most popular: creating a 5-STAR GOOGLE search result for your testimonials. Leads to more people finding your website online and more customers!!! Love this app and its features for my weebly site. I did not find the free version did enough for me so I paid for the upgrade and found it well worth it. 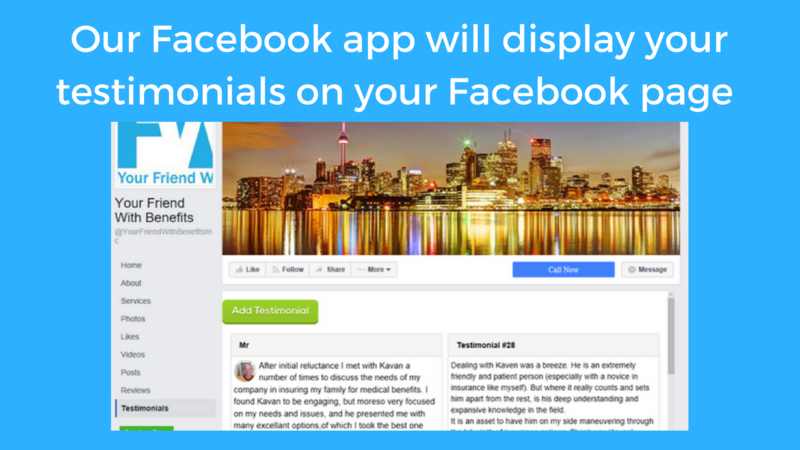 Importing my facebook testimonials over was super easy and I like that is links with all of my other social media platforms as well. I had some technical issues and had to contact customer support, they were extremely friendly and fixed my issue within the hour. I very much recommend the paid version of this app. Great customer support. I have been very pleased with their service and ongoing mission to always improve. Easy to get started with the many features. Features that we really need for Bio Beds Plus. SEO aspect is great! Looking forward to seeing an improvement in our google ranking. Exactly what we were looking for. Support responds fast. The product itself is outstanding in every way. The support is even better. Great Value.